The first project by Double Blind Productions - a narrative circus with multiple endings based on the characters from an original tarot deck. Will the hierarchy of the circus withstand the night? Will the performers rebel? And if they do, will they succeed? Presented at the New Hazlett Theater as part of the CSA series June 2018. 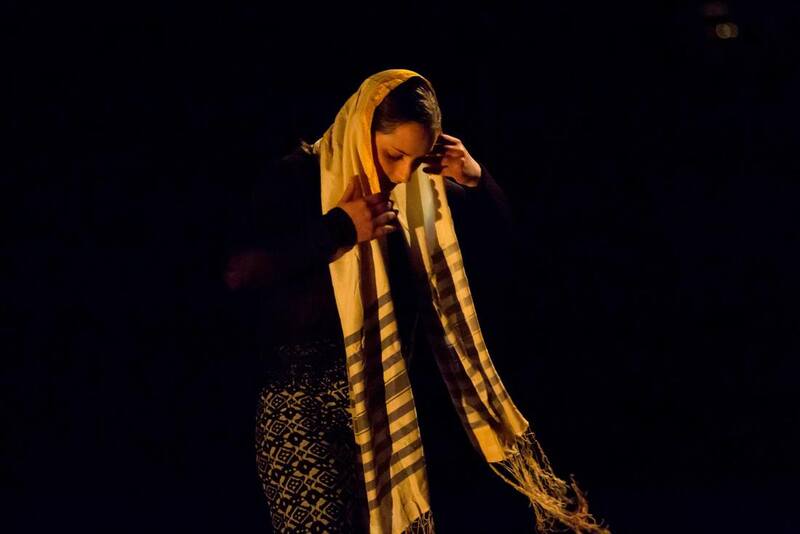 A short danced duet on Jewish identity, race, privilege, and cultural appropriation. 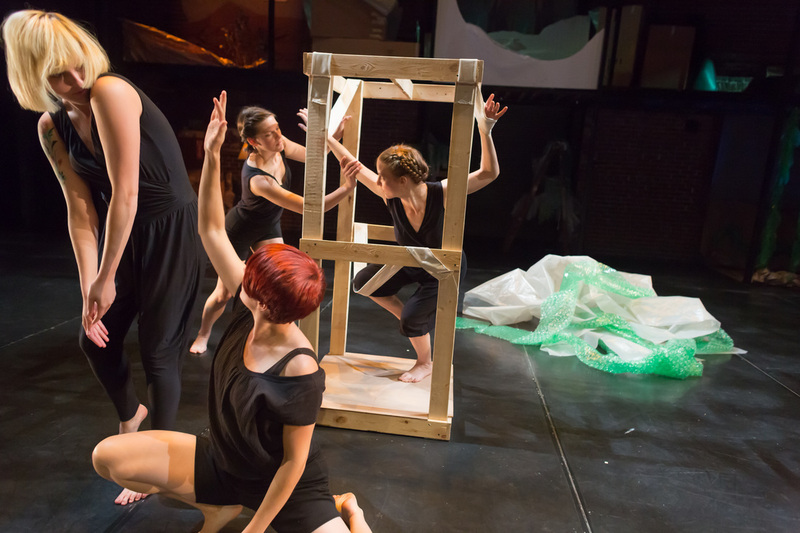 Performances at The Kelly-Strayhorn Theater newMoves Festival and Pearlarts Charette series in 2015. An installation and dance theater work featuring three movers. A forty-five minute exploration of PTSD and the non-linear path to health. 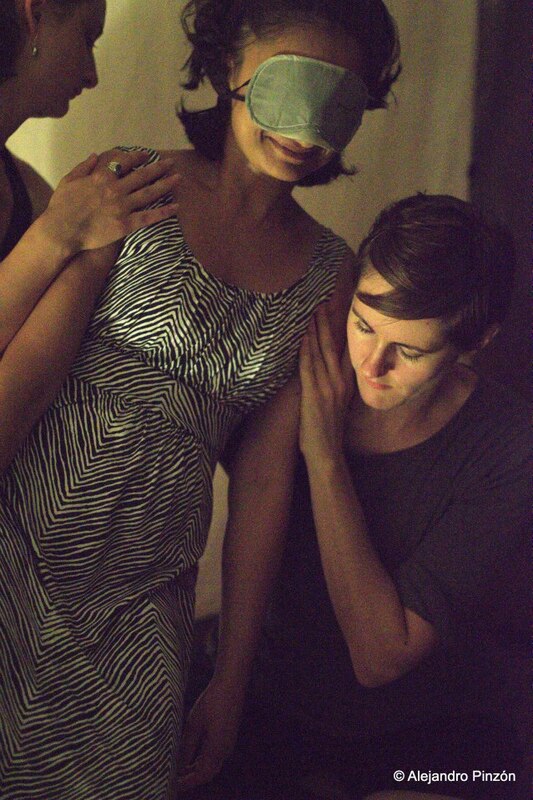 ​Performed as part of the Trespass Residency Series at Future Tenant Gallery in 2015. An improvisational movement theater work based upon Sam Shepherd's "Fool for Love." Presented at the Space Upstairs in 2012 and at Vox Populi as part of the Philadelphia International Fringe Festival in 2013. A short dance for 6 movers, based on the tactics of protest and non-violent direct action, particularly the creation of "soft blockades" through different linkages of hands. Presented at the Kelly-Strayhorn Theater as part of newMoves9 Festival in May 2018. Part oral history, part dance work, this 15-minute solo shares Mason's experiences growing up as a queer Jew in a small conservative Christian town. Presented as part of THE CURRENT SESSIONS at wild project in 2016. What is dance outside of the visual medium? Individual, blind-folded, audience members are guided through one of several short tactile dance scores - a sensory and movement experience performed by four movers. Created as much by the interaction between performers and audience/participant as by the score itself, each tactile dance is a unique experience. Performed at BOOM Concepts, Rhinestone Steel, and Bunker Projects Performance Art Festival in 2014. ​In this auto-biographical one-woman show, Mason shares her experiences working as a stripper for several years and explores issues of gender performance, eroticism, and vulnerability. Presented at Off the Wall Theater in June 2017 and January 2018. A 30-minute excerpt was presented at Bronx Academy of Art and Dance (BAAD!) in March 2018. A duet with hip hop artist Mario Quinn Lyles exploring the differences and commonalities in their artistic upbringings and the histories of hip hop and modern dance. Performed at the newMoves festival at the Kelly Strayhorn Theater in 2016. An evening-length group dance work Inspired by how humans define and curate the natural, animal, and wild. Performed as part of the CSA Series at the New Hazlett Theater in 2014. A structured improvisation that was performed in 6 different locations in Pittsburgh and NYC during the summer of 2013. Inspired by vulnerability, tenderness, and where the internal and external experiences meet.